Visiting unfamiliar contexts can lead to interesting discoveries. 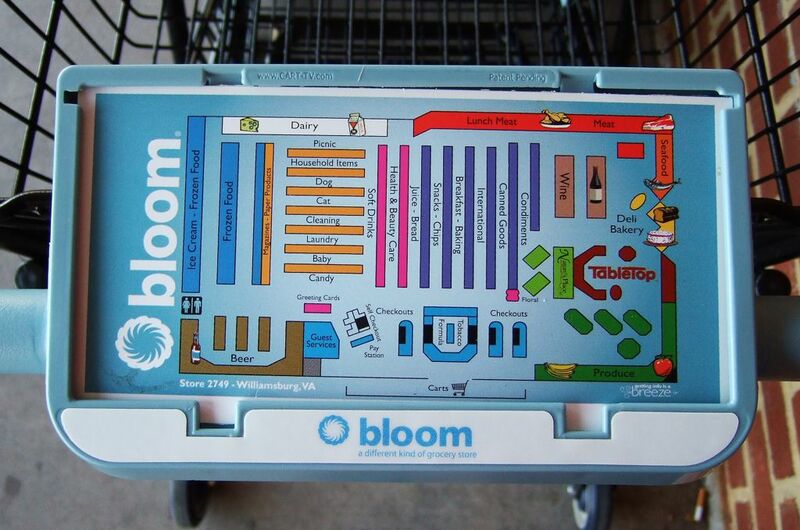 In this case I’m in Williamsburg Virginia, and was impressed that a regional grocery chain, Bloom, had store maps mounted on their shopping cart handles. Brilliant. A quick google for them reveals a blurb where they characterize their stores as “uncomplicated” and “hassle-free.” Their aim for a positive customer experience seems to be yielding some good ideas.